Crawley is a town in the south of England within the county of West Sussex. With a population of over 105,000, there is a strong market and wide range of property in the area. 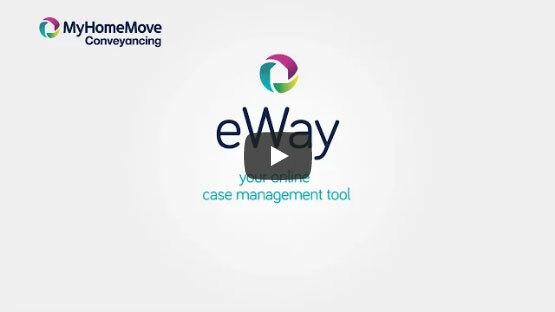 At My Home Move Conveyancing we have been improving our knowledge and understanding of local property markets like Crawley since 2002, allowing us to bring our clients in the area a specialist, fixed fee conveyancing service. If you are considering buying or selling property in Crawley, you must instruct a lawyer to complete the legal work on your behalf. My Home Move Conveyancing offer award winning customer service, intimate knowledge of the local market and innovative use of technology. Our conveyancing service is fixed fee, so you’re aware of how much you’ll be paying from the beginning, with no extra charges or hidden fees to worry about with us working as your Crawley conveyancers. If you don’t end up moving for whatever reason, you will not pay us anything. You will be assigned a dedicated conveyancer who will oversee everything for you, looking after all aspects of your case from start to finish and providing regular updates on the progress. We can provide our conveyancing services in Crawley to homebuyers across the local area, in neighbourhoods such as Southgate, Gossops Green and Broadfield. The average house price in West Sussex is £261,348, while in Crawley the overall average price of properties over the last year was £267,568. Terraced properties were most popular by some distance in terms of volume of sales, going for an average of £254,877. Flats went for £182,842, detached properties for £421,441, and semis averaged at £306,745. Crawley has a long history that includes Stone Age settlement in the area and importance during Roman times due to its status as a centre of ironworking. More recently, Crawley became a new town after the Second World War, while the town has continued to develop during the intervening years; it is now a major centre of industry and employment between London and the south coast. One of the major employers in the area is Gatwick Airport, which is one of Britain’s busiest international airports and lies just a few miles north of Crawley’s town centre; there are frequent trains that run to the airport that take less than 10 minutes. Services to London can take less than 45 minutes, making Crawley a viable commuter town, while the M23 motorway passes to the south and east, linking Crawley to the M25 ring road in the north. There is a wide range of schools in the area for families with children to consider, with Pound Hill Junior School, Turners Hill CofE and West Green Primary among the choices for younger children. Options at secondary level include Ifield Community College, St Wilfrid’s Catholic Comprehensive and Hazelwick School in Three Bridges. All properties in Crawley will fall within one of the following council tax bands.